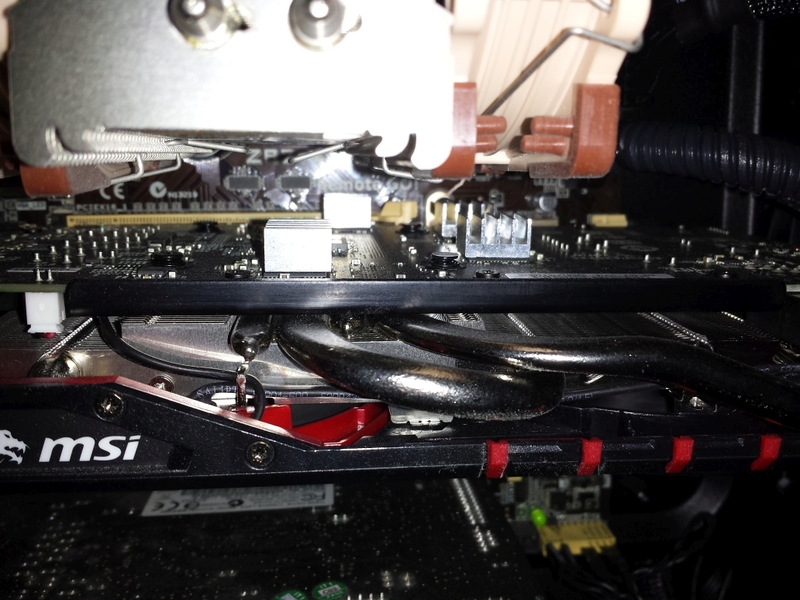 This post pertains to the 09SB version of the MSI GTX 970 Gaming 4G video card, but may also apply to other models. You can find your model on the video card’s box as part of the serial number. I don’t think I had my GTX 970 installed for more than 5 minutes before I had overclock settings applied in MSI Afterburner. It ran so smooth that I figured that my monitor was out of date, I quickly found the best gaming monitor reviews and went to the store for a bigger, better screen. The clocks that I started out with were 110 Power Limit, +150 Core Clock, and +450 Memory Clock. This worked fine with no apparent issues for older games like Counter-Strike Source, or Left 4 Dead 2 since they don’t push modern GPUs much. However, when I fired up Shadows of Mordor and played for an hour or so, I noticed that I was getting some GPU artifacs on-screen. Having done a lot of GPU overclocking in the past, I assumed it was because of overheating memory. I dropped the memory overclock slightly in MSI Afterburner without touching the core clock and noticed the artifacting was gone. I left the lower clocks for a while just under the assumption that the card couldn’t handle the high clocks that I set. Then while I was installing a new SSD in my case I realized that the RAM modules on the back of the card had no heatsinks on them. It’s actually kind of funny – nowhere on MSI’s product page for the GTX 970 Gaming 4G do they show the rear of the card – see for yourself. I’ve only been able to see the back of the card on tech review sites like Armchairempire.com. Okay, but would VGA RAM heatsinks even help in this situation? I had some cheap aluminum VGA heatsinks laying around from other projects and decided to give them a shot. They’re certainly easy enough install – the heatsinks have a thin layer of thermal tape that adheres to the RAM module. After the install I applied the original overclock amount of +450 on the RAM and fired up Shadow of Mordor – no more artifacts. Ran 3DMark – no artifacts. Tried everything I could for GPU stress tests without any noticeable artifacting. I was impressed that such a small investment in the heatsinks, even cheap ones, paid of fairly well. For about a dollar more you can get copper VGA RAM heatsinks, which should help cooling even further. While I’m still happy with my GPU purchase, I really think MSI dropped the ball a bit on this particular card. 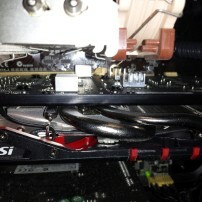 Most other GTX 970 manufacturers at least include a backplate that could help dissipate the heat from the memory modules. Let me know if they help! Were you getting artifacts with overclocking? Hi I think I’m having the same problem with my card which is exactly the same. I was going crazy not realizing the cause because sometimes everything was fine but as you said after some time some artifacts (minor but noticeable) would appear or glitches. Playing with voltage didn’t help and lowering to stock clocks didn’t *always* help either. But now it makes perfect sense that it was the memory overheating, because I don’t have a read on it I assumed everything was fine as my core is always cool. I’ve done some experimenting and I’v epretty much confirmed after half an hour or so of playing with memory OC I get glitches. The reason I was so confused about it and not realizing is because even after lowering the clock speeds the memory still needed to cool down thus I was still artifacting, only much less (so I thought the card itself was damaged). Anyway playing with only core and not oc’ing memory works perfect. So I am totally going to listen to your advice. Thank you so much for this information I was really lucky to stumble upon it! The one’s you recommended buying, the cooper ones, would they fit? Do I need to buy thermal paste in addition? Could you recommend one if so? Yes, the copper heatsinks that I linked will definitely fit. You don’t need to buy thermal paste as they have thermal tape already on the heatsink base, so you’ll just peel off the backing and stick them to the RAM chips on the GPU. Btw those copper heat-sinks you’ve recommended would definitely suit the 970 right?